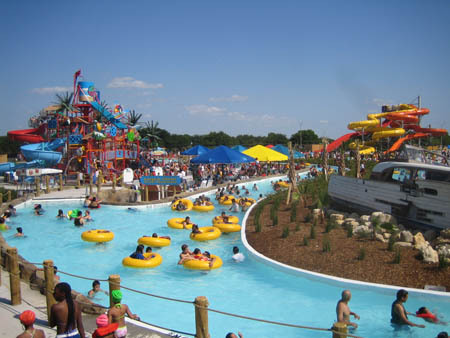 The City of Dallas commissioned the team of Counsilman-Hunsaker, Kimley-Horn & Associates, and AUI Contractors to design and build their new $5.5 million Bahama Beach Waterpark located in Thurgood Marshall Park. 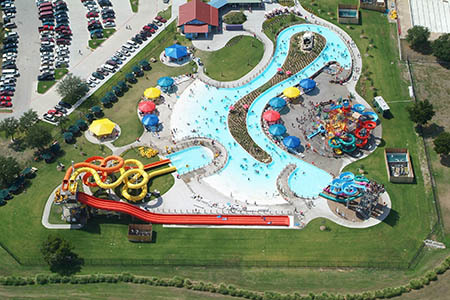 The concept was to create a compact, highly themed municipal family aquatic center with play features for tots, families, and teens. The Calypso Cooler, a 300 ft. lazy river with waterfalls, two zero-depth entry beaches, and beach boat island. The Coconut Cove, a massive interactive water rain-fortress with pulleys, rope ladders, water buckets, geysers, three 40 ft. waterslides and 1,000-gallon dumping bucket. The Tortugas Express, a headfirst 300 ft. long speed racing slide. 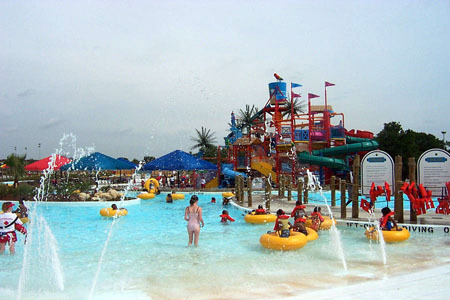 The Riptide Slide and Bahama Bullet, two enclosed inner-tube waterslides for two to three riders from a 45 ft. high tower. The Bermuda Triangle, three uniquely designed close- and open-flumed waterslides that range from a gentle descent to a speedy drop.